Just as we managed to survive the Snowpocalipse of 2013, which brought with it the coldest temperatures I’ve ever driven my Audi in (-13 ̊C, anyone? ), we just got word that another may be on the way. This morning temperatures have already dropped to 3 ̊ C, which doesn’t make it any easier to get two sleepy kids out of their beds and off to school. Even my good-natured husband, who is such a trooper about walking our dog each morning, announced, “I’m done with the cold. I am ready to be 67 and move to California.” And, really, who can argue with him? All the vintage 911 I see driven around these days are in California, where their air-cooled engines are enjoying the cooler “winter” temperatures. It’s funny how snow and cooler temperatures are so magical as Christmas approaches, but once January rolls around, they dampen our spirits. For those of us who love motorsport, seeing our favorite cars parked away and our race series on hiatus all winter long is no fun. Right around now, most of us are dreaming about detailing our cars, going for a drive and starting our track seasons. Normally, we help the winter months pass by participating in winter sports (running, snowboarding, sledding), but this year has been so cold, we have been indoors for far too long. In my case, doctors’ orders have precluded from exercising, which has not helped pass the time. I have watched “Truth in 24” so many times, I could probably narrate it. Thoughts of driving our favorite road tracks can also lead to wondering whether we will remember all our driving skills after 6 months or so of not driving. Will my shifting be as smooth? Will I be able to brake as late as I did on that last session of 2013? Will my lap times be the same they were when I left off in October? When I first return to the race track each year, I feel a bit off. I am, by nature, cautious, so my first sessions are slow and deliberate, even though I’ve been driving on track for the past five years. 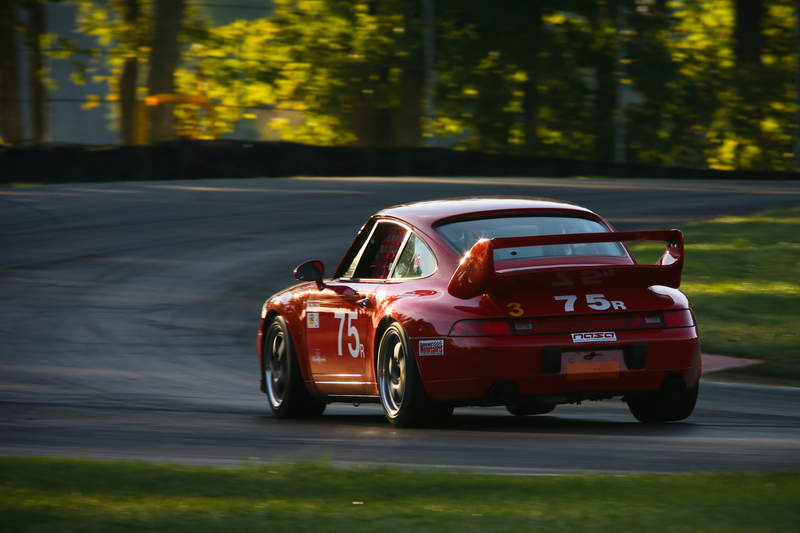 On my first season of performance driving, my brother (an experienced Porsche Club of America instructor) explained that everyone – from a novice to the most experienced driver – had some loss of skills after spending time away from performance driving. The skill set, of course, was relative to each driver, as was the time each driver took to get back to their previous skill and comfort level. It’s easy to become frustrated when one returns to any activity. Last year, when I went out for my first lap at MidOhio after having been off for a good 7 months, I felt little confidence behind the wheel. 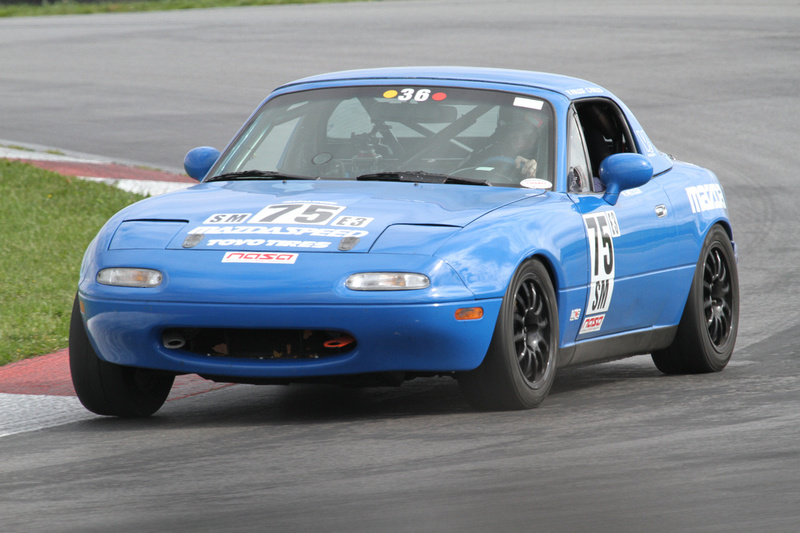 The helmet felt restrictive of both my vision and breath, and my Spec Miata felt foreign. My husband offered to go out in front to pace me, but quickly became frustrated with my slow pace and hesitation. The more nervous I became, the more frustrated I became, remembering my level of confidence and speed just a few months before. At the end of that first session, I was ready to quit and hang up the helmet. Instead, I decided to let go of the expectations of what my car control and speed should be, got behind the wheel, and resolved to have fun. The result? Within one session, my lap times were up to the previous year’s. What had been holding me back was not lack of skills, but my own expectations. Often, in various activities, our expectations get in the way of our enjoyment of life. This morning, I got back on the treadmill after “surviving” two months of a doctor-prescribed running ban. While I have never been a fast runner (9.5-minute miles are a brilliant day for me), after running consistently for nearly 17 years (with a 2-week break serving as the longest I have ever taken), I have come to expect that getting through 3 miles on any given morning is a non-issue. This morning, however, I ran a slower pace, my breathing was a bit tight, my hips and feet were a bit sore, and my stride felt clumsy. The experience reminded me of what it was like when I first started running: not fun. I can honestly say, it took me months before running didn’t feel like I was going through the motions looking (and feeling) like a drunken penguin. This morning helped me understand why so many people never get to the point where they can enjoy running – so much of the physical discomfort experienced at first goes away in time, but unless you stick with it, it’s hard to believe. Likewise, if you are having a bad session behind the wheel when you first return to the track, it is hard to trust that with consistent lapping time, your skill set will return (and increase) and everything – from your shifting, to your braking and throttle use – will become more natural and enjoyable. So, what should you do when you decide to resume an activity you were once confident in but have not participated in for a long while? I happened to remember a phrase I use when I teach yoga: begin again. Many times when trying a difficult pose or a balance in yoga, one falls. “Begin again,” says the teacher, which essentially means: exhale, and get back up. Try the pose again. Fall again? Try again. Whether driving, running or yoga or whatever it may be brings you joy, simply begin again. Let go of your preconceptions of how you should be driving, how you should be running. Begin again. Let go of what you used to be, and work on being a beginner. Remember how fun being on track for the first time was, when you didn’t know any better? 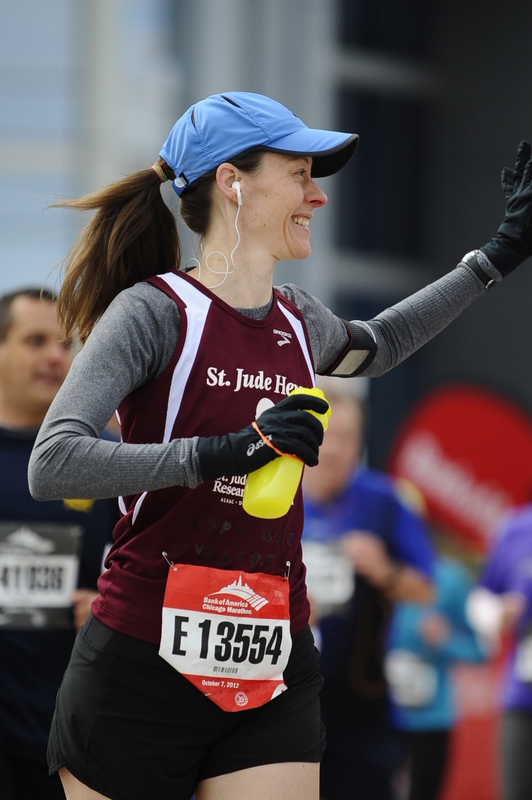 You probably smiled from ear to ear because you had turned a lap that you would now call a “parade lap.” Remember how excited you were the first time you ran 1 mile, or a 5K? Tap into that joy and begin again. Don’t waste your time on what you were – invest it in what you are now. The results may surprise you. Only three months of the white stuff left. Before you know it, you’ll be lacing up your shoes and heading out for a Spring run. Or maybe detailing your ride and heading out on that road trip, fun drive, or to the track for your first session of 2014. Enjoy your new beginning, and see you out there!